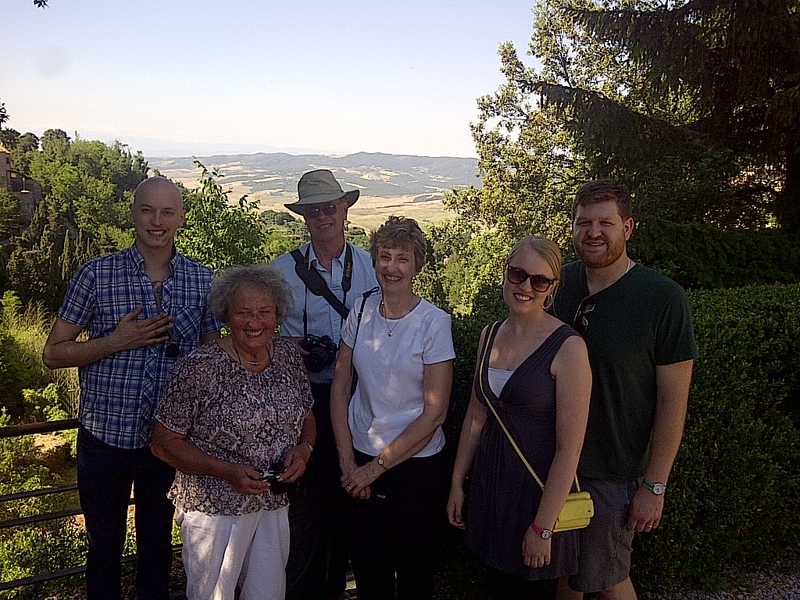 The group above the Tuscan valleys on a perfect day. Volterra, in the center of Tuscany, in central west Italy. June 21, 2013. On the TUSCANY tour.